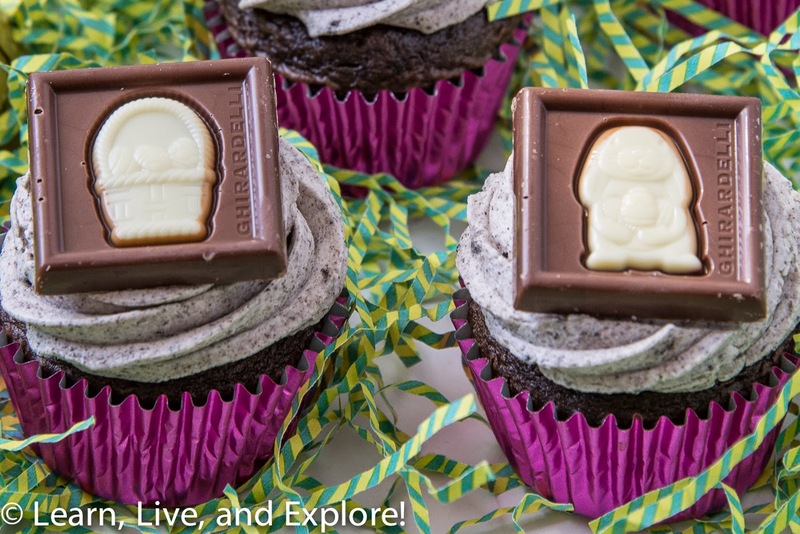 Easy Cookies and Cream Easter Cupcakes ~ Learn, Live, and Explore! I'm heading to an Easter dinner tonight, and of course I'm bringing dessert. When thinking of ideas, my first instinct was to do something that had a primarily coconut flavor, but then I thought not everyone likes coconut. Next, I was thinking maybe strawberry or lemon, but again not everyone's favorite. Finally, I realized, what is more "Easter" than a chocolate bunny, so I decided to go for a chocolate dessert. 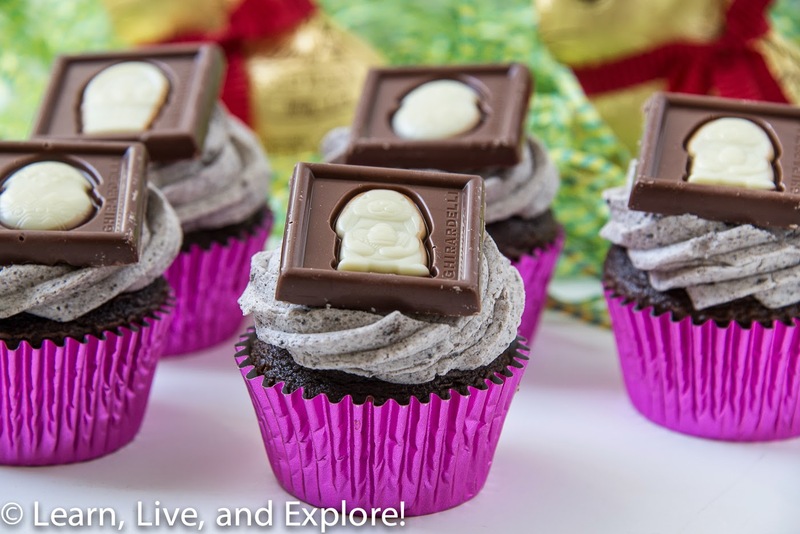 Keeping it simple, I went into my cupcake comfort zone and switched it up with a flavored buttercream topped with some very cute milk and white chocolate Easter squares from Ghirardelli.